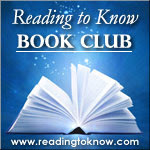 Shonya from Learning How Much I Don't Know is leading the discussion for February's selection in the Reading to Know Book Club. As you well know, she chose The Scarlet Letter . Here are her thoughts to prompt discussion among us. Nathaniel Hawthorne's classic novel, The Scarlet Letter, provided a great deal of fodder for discussion with my two teenagers recently. We spent so much time discussing it and writing essays inspired by this book that I simply can't imagine how I'm going to condense my thoughts into a blog post for Carrie's book club. Nevertheless, I'm going to try. Most people likely already know the storyline of The Scarlet Letter from plowing through it in high school (like I did). Now twenty years later my thoughts have been more piqued by Hawthorne's crafting--although I can't really say I *enjoyed* reading it much more than I did the first time. PRIDE: I was struck by the pride each of the characters demonstrated, likely because of my own pride issues. From nursing a wounded ego by a faithless wife to fearing the community opinion to proudly rejecting discipline and hating reproof the three main characters demonstrate the follies--and subsequent consequences--of pride. I wonder what would have happened had Dimmesdale been transparent in confessing and repenting of his sin. What would have been most helpful and edifying to the rest of the church? It seems to me that hiding sin leads to denying sin and takes away accountability in the church. REBELLION, REPENTANCE, PENITENCE, and PENANCE: I've never read a fiction novel that made me think so much about various responses to sin. Repentance, of course, is precipitated by godly sorrow but too often I think people stop with regret or penitence rather than allowing their sorrow to lead to a change of mind and behavior. On the other hand, the Dimmesdales of our christian culture try to pay for their sin on their own and that, my friend, is simply not possible. This was an especially beneficial discussion with my teenagers as one of them is tempted to feel a need to "pay back" for what the Lord has done on our behalf and I think reading and discussing this book opened some eyes a bit. SELF-JUSTIFICATION: Was anyone else particularly pricked by Hawthorne's vivid portrayal of our inclination to continue farther from God once you have stepped onto the path away from Him? Dimmesdale seemed willing to take the leap from a brief, impulsive affair (at least that was my interpretation) to purposefully choosing the wilder path across the ocean where they would be free to indulge their desires without any accountability. PURITANISM, ROMANTICISM, and TRANSCENDENTALISM: I won't take time to go into this one here, but I truly found it fascinating the way Hawthorne personified these belief systems in Dimmesdale, Hester, and Pearl regardless of whether I agree with his portrayals. CHARACTER DEVELOPMENT: Finally, I can't help but marvel at Hawthorne's talent in painting his characters. The way he uses different perspectives (such as from the townspeople, Hester, and Pearl in particular) to flesh out the characters is almost worth reading the book yet again. Maybe in another twenty years. I know I've said it before, but I'll say it again. Reading the classics challenges me so much more than reading much of the drivel written more recently. I just love pondering these timeless issues and discussing them with fellow book-lovers. I look forward to benefiting from thoughts others gleaned from this classic. Thanks, Shonya, for choosing this book and hosting the discussion! If you participated in this month's read, please leave your notes on the book (or a link to your blog post!) below in the comment section. As Shonya said, it's not a book I could say I really enjoyed, but I did benefit from it much more this time than in high school. Major points to Shonya for discussing this with her teens. My mother introduced me to this book, and I learned a lot from our discussions. The more I think on this book, the more I appreciate re-reading it. However, as I said, I'm also happy to be done with it. Perhaps another read in another 20 years,as you said? :D It's not my favorite classic, that is for sure. I appreciate reading your thoughts. Pride is DEFINITELY a huge theme - for all three of the main characters. As you pointed out, all three of them were afraid of reproof and kept themselves from it however was possible. Anyway, thanks for sharing your thoughts and prompting some more! You are absolutely right about the pride issue. I didn't even think of that angle. I am enjoying rereading this book very much - even though I hate all the characters! It's great to read everyone else's comments on it as well, and the themes other people see in it. I have never read this one. But I think I may have to give it a try one of these fine years.